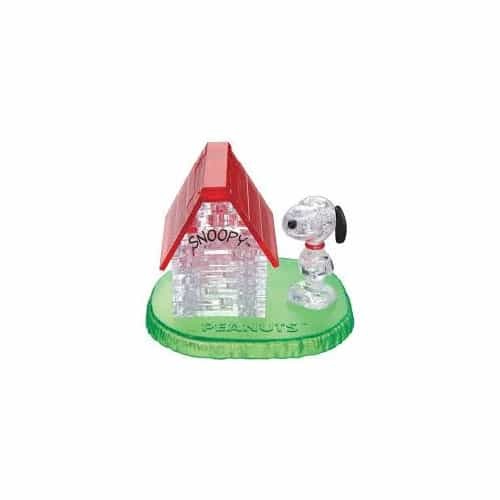 The 3D Crystal Puzzle Snoopy and House from BePuzzled is a sleek, translucent puzzle with unique interlocking pieces. Take puzzling to a whole new dimension with this unusual crystal puzzle featuring the beloved character from ''Peanuts''. Enjoyable to work on, challenging to complete, fun to display. Challenging and fun for puzzlers age 12 and up. BePuzzled is more than just jigsaw puzzles, it's puzzle plus.